Garden City, Kenya’s first mixed-use real estate project offering shops, residences and offices within one development, today announced breaking ground and commencement of construction for the first commercial office phase of its Business Park, located at exit 7 on Thika Super Highway. 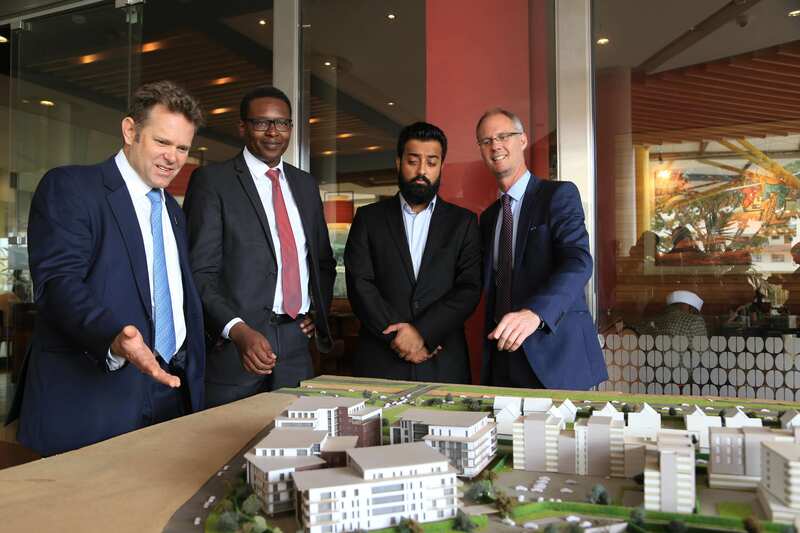 This latest announcement follows Garden City’s recent signing of a long-term lease with East African Breweries Limited (EABL) to take up 60% premium office space within Garden City’s first commercial office phase. The Business Park, spread across 15 acres within Garden City’s master plan, is the second stage of the overall development, which first broke ground in July 2013. Designed by a team of international architects for both functionality and comfort, the Garden City Business Park, will offer over 25,000 sqm of lettable Grade A offices once completed, plus a healthcare facility, two hotels and over 400 additional mid-market residential units. The first phase of the Business Park, scheduled for completion in Q2 of 2019, encompasses over 12,500sqm of Gross Leasable Area (GLA) spread over 2 buildings. Garden City’s integrated amenities complete the ‘Live, Work and Play’ concept of the mixed-use development with its vast range of retail, dining, leisure and hospitality options offering excellent add-on value to the anticipated 3,000-strong office community.